How many Chocolate Bars can the school get ? 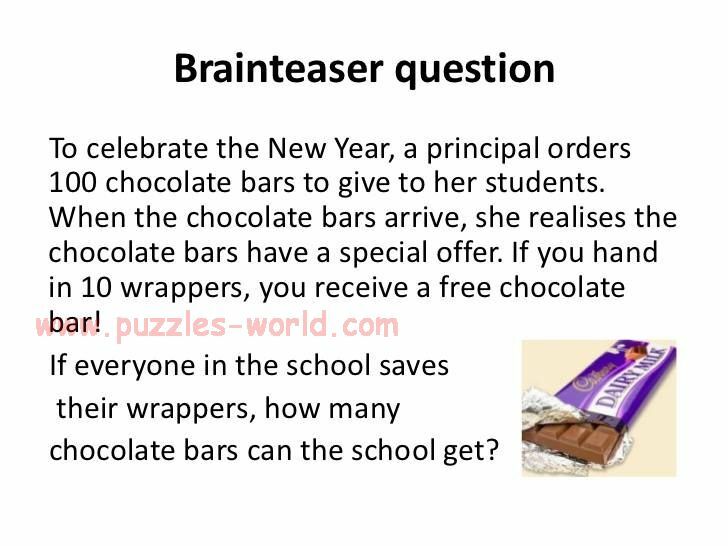 A Principal orders 100 Chocolate bars to give to her students. she realises the chocolate bars have a special offer. If you hand in 10 wrappers, you receive a free chocolate bar! How many chocolate bars can the school get? The School Can get extra 11 Chocolates, So total 111 Chocolates.